Talk About Random! : Extra Scenarios Added! I am currently on a diet... Have to lose 5kg or around 11lbs for a huge job. Gained too much weight while I was sick... Though have to admit doing it so I can wear my clothes again. With the help of my bf, have to wake up at 4:45am to go for a morning run! Will start on Sunday morning!! Wish me luck since the Holiday seasons= FOOD!! If anyone is on a diet this holiday season, work hard everyone! Cause it's hard! Be healthy! Anyway sorry for the rambling... as a thank you for keeping up with our blog almost all the extra scenes will be added after editing... which takes quite a bit of time. Anyway before I start hearing complaining... I added all extra scenes; well almost all extra scenes in one video...WHY?! plus I start getting lazy just thinking about it. Luca Extra Scenes 2-5 has been added. Viewer discretion is advised. Love Legend of Sengoku: Masamune Extra 1-3. 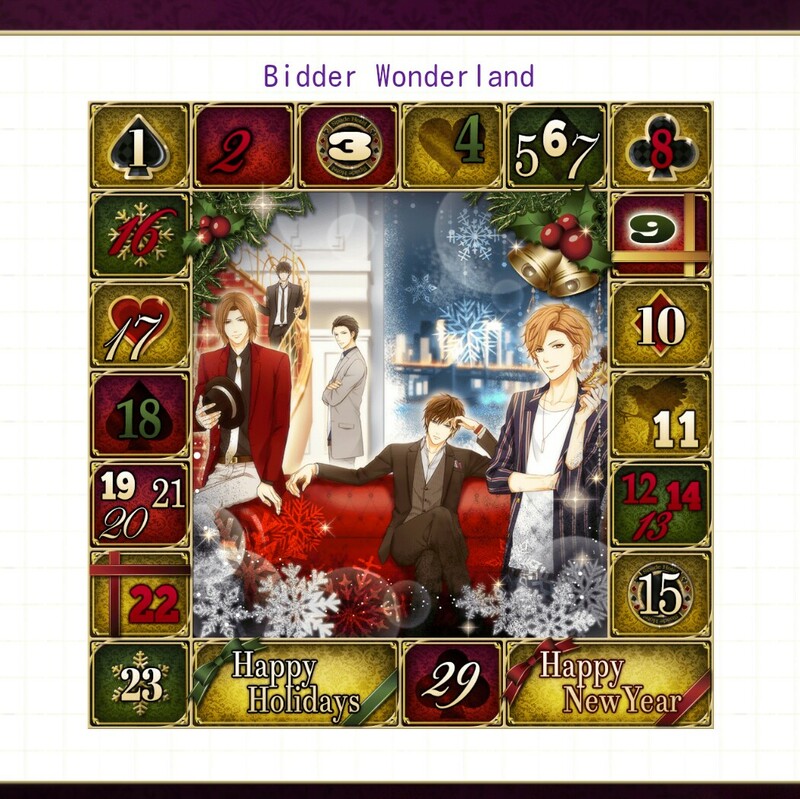 Cinderella Contract: Lugar- Night Prince Host Club Special Event 1-5. If you are not able to view the videos try checking the walkthroughs first, since I will be adding the links, if you are still not able to view or find them either they are still uploading or not done editing, plus WiFi is giving me some trouble so a few errors have popped up on me. So just an FYI. ~ Enjoy! 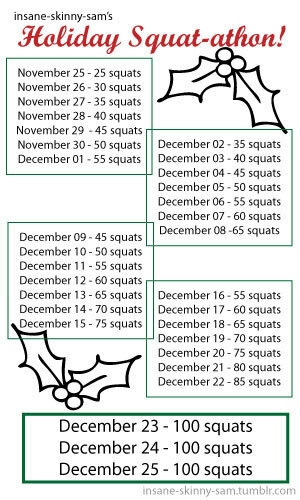 Started doing the Holiday Squat-athon! Hightly recommend.